Disclosure: This post is sponsored by Dove Advanced Care Antiperspirant however all thoughts and opinions are my own. I have officially deemed my hometown the WORST when it comes to winter weather. Okay, maybe I am being a bit dramatic (I blame it on being home for winter break with my kids, that makes everyone dramatic, right?!). I live in a very arid area and during the winter my skin suffers horribly from going between bitter, dry cold outdoors to hot, dry indoors. I am constantly applying lotion post hand-washing, in between hand-washing, post shower, during shower, in the car, at the grocery store, etc. I think you get the picture - I am constantly applying lotion. 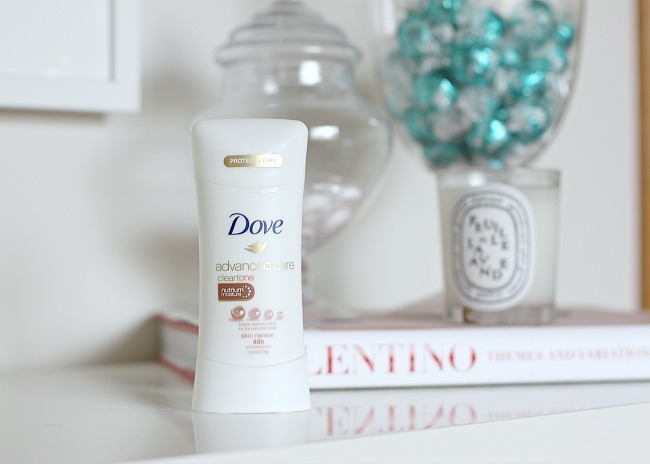 When I discovered some winter skincare tips from Dr. Barba, courtesy of Dove, naturally my instinct is to read and apply. Literally and figuratively, I am going to apply them in my life. One area that doesn't get as much love as it deserves is your *ahem* underarms. Yeah, odd as it may seem that tiny little area is sensitive and things as simple as textures and fabrics can irritate the skin. 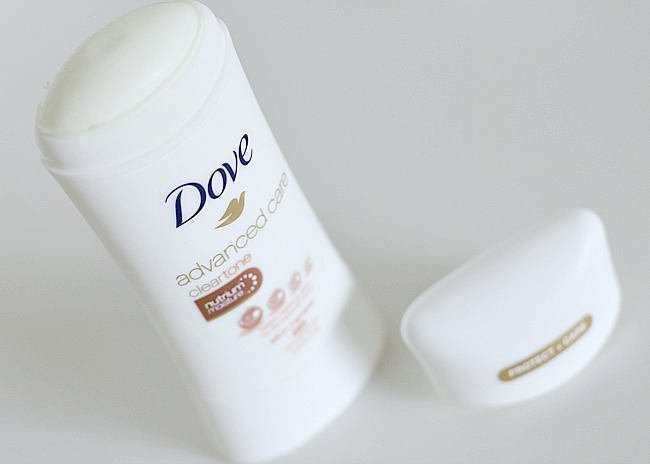 In order to keep that area protected and hydrated Dr. Barba recommends you try Dove Advanced Care Antiperspirant that is formulated with moisturizers to help alleviate irritation and leave you with softer, smoother underarms. Even better, it provides 48-hour wetness protection, so you’ll smell great all day. 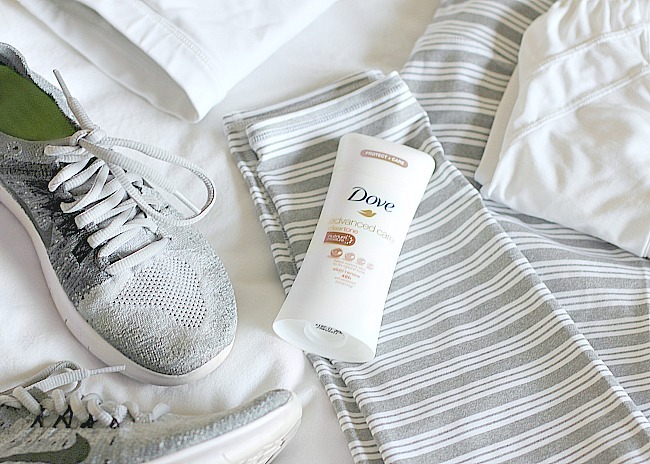 Check out Dove Advanced Care online here. Personally, I find the biggest challenge for my dry skin during the winter months is related to exercise. I love to maintain and regular workout schedule for my mind and body. During the winter this is particularly important because I want to maintain my energy even when the sun is only in the sky for a few hours a day. Going between the light layers of gym clothes to heavy layers of outdoor clothing, sweating from a workout to freezing upon leaving, all of these things leave my skin dry and begging for a little moisture. My favorite way to combat this is to use a hydrating cleanser when I shower. A hydrating cleanser helps make sure to moisturize the skin and prevent the worsening of dry skin issues. Post workout my shower is sure to include something to help keep my skin moisturized all day long. Last, but not least, don't forget to moisturize your skin just because its covered. What I mean is, during the winter we tend to layer and a lot of of skin avoids exposure. Because we tend to keep our skin so covered we also run into the issue of not hydrating those areas. Dr. Barba reminds us to be sure to moisturize our entire body and not just the face and hands. Make sure your arms, legs and feet are getting a little of that love too. Trust me, your skin will thank you come spring.